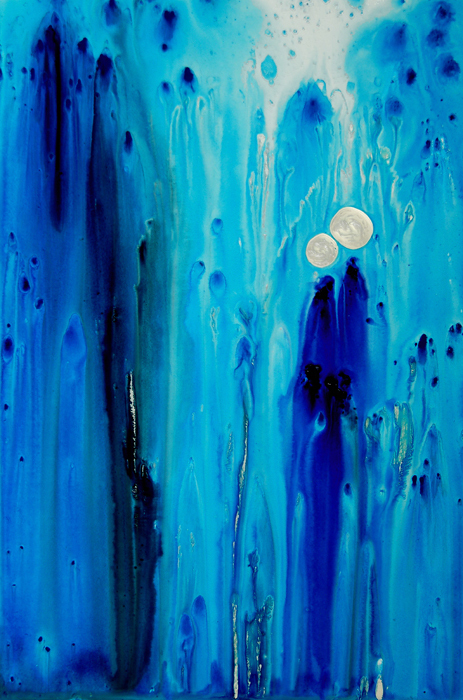 This blue piece titled “Never Alone” will be on it’s way to L.A. soon. It is heading for the set of “Modern Family”! I was informed that it would be “recurring”. I wonder whose house it will be in? Stay tuned and tell me if you see it this season! Congratulations, Sharon. Coincidentally, my nephew Brian Mazzaferri created and sings the theme song. Awesome news Sharon!! You deserve it because this piece is amazing ;=) I haven’t watched Modern Family before, but this gives me good reason too! So proud of you Sharon;=) Thanks for sharing. Wow! Congratulations on this. I’ll look for it on TV!